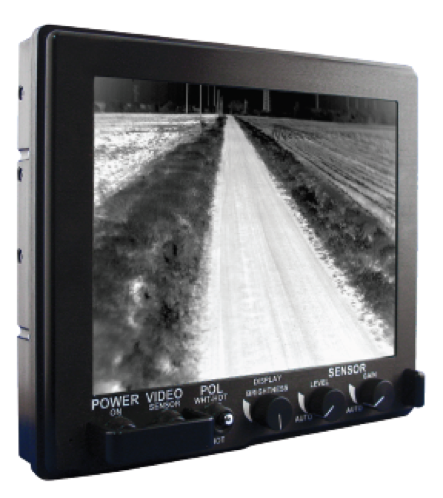 In order to easly maneuver a vehicle at night the driver’s can view the outside world through the Driver’s Vision Enhancer (DVE) thermal display. Our simulated DVE can be mounted in an identical fashion as the tactical device . The video is injected via a DVI-D connector and control values are returned to the simulation via an I2C bus connection. An optional a DVE mount can be fitted with a Azimith and elevation control and feedback if required.